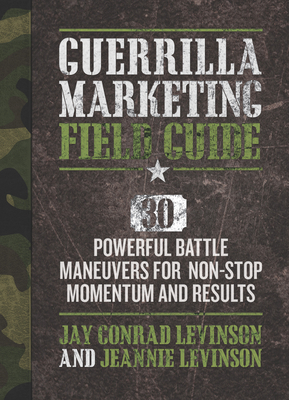 Jay Conrad Levinson is the author of the best-selling marketing series in history, Guerrilla Marketing, plus over 100 other business books. His books have sold more than 21 million copies worldwide. His guerrilla concepts have influenced marketing so much that his books appear in 62 languages and are required reading in MBA programs worldwide. Jay taught guerrilla marketing for ten years at the extension division of the University of California in Berkeley. He was a practitioner of it in the United States -- as Senior VP at J. Walter Thompson, and in Europe, as Creative Director of Leo Burnett Marketing. A winner of first prizes in all the media, he has been part of the creative teams that made household names of many of the most famous brands in history: The Marlboro Man, The Pillsbury Doughboy, Mr. Clean, Tony the Tiger, Allstate's good hands, United's friendly skies, the Sears Diehard battery, Morris the Cat, and the Jolly Green Giant. He is the Chairman of Guerrilla Marketing International. Jeannie Levinson, his wife and coauthor, is the President of Guerrilla Marketing International, Co- Founder of the Guerrilla Marketing Association, and the Guerrilla Marketing Business University. She has degrees in nursing, occupational therapy, physical therapy, and architectural drafting. She was also a licensed swimming pool contractor, and the sales manager of a national pool company, during which time she was awarded for selling more swimming pools in one year than anyone else in the nation. Jeannie, the co-author of Guerrilla Creativity, Guerrilla Marketing for Free, Guerrilla Marketing 4th Edition, Start-Up Guide to Guerrilla Marketing, and The Best of Guerrilla Marketing: The Remix, is a member of The National Association of Professional Women and The National Association of Female Executives.